Bristles used in the brushes are 100% Indian bristles. 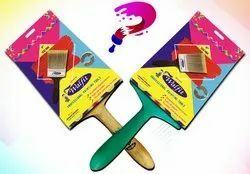 Indian bristles are considered to be best natural bristle used for paint purposes. These bristles are obtained from Indian Hogs; Bristles are processed and bundled as per the size and mixed with different sizes to get the desired tapper. Bristles are springy by nature and boiled to get the necessary stiffness. Indian hog bristles have longer life than hog bristles from other countries. The bristles have natural split-ends, which increases the amount of paint they hold and give a smooth and even paint release. 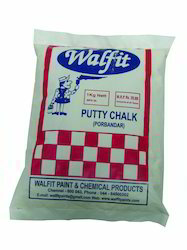 We are dedicatedly engaged in offering a qualitative grade of Putty Chalk that is widely used in educational institutions, museums, trade & technology parks, farm houses and bungalows. The offered chalk is precisely processed using the best quality chemical compounds and innovative techniques. Moreover, provided chalk is widely demanded in the markets for its various quality attributes. Our provided chalk can be obtained at nominal prices within stipulated time-frame. 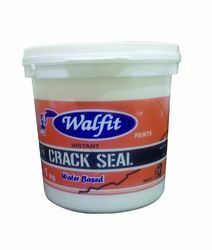 Empowered by our levels of exquisite professionals, we are engaged in offering a wide grade of Crack Sealants. The offered sealants are processed using quality tested chemical compounds and advanced technique by our adroit professionals. Apart from this, these sealants are tested on different parameters to maintain quality. We offer these sealants in variegated packaging options in pocket friendly prices. We have gained a remarkable position in the concerned industry by offering a distinguished grade of Plaster Of Paris that is sued in white washing of different buildings. Our plaster of paris is processed under vigilance by skilled professionals by using premium quality chemical compounds and modern technology in line with industry norms. 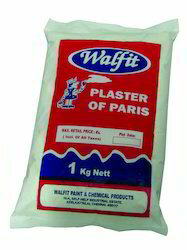 Further, this plaster of paris is strictly tested by quality examiners before dispatch. Looking for Building Construction Material ?